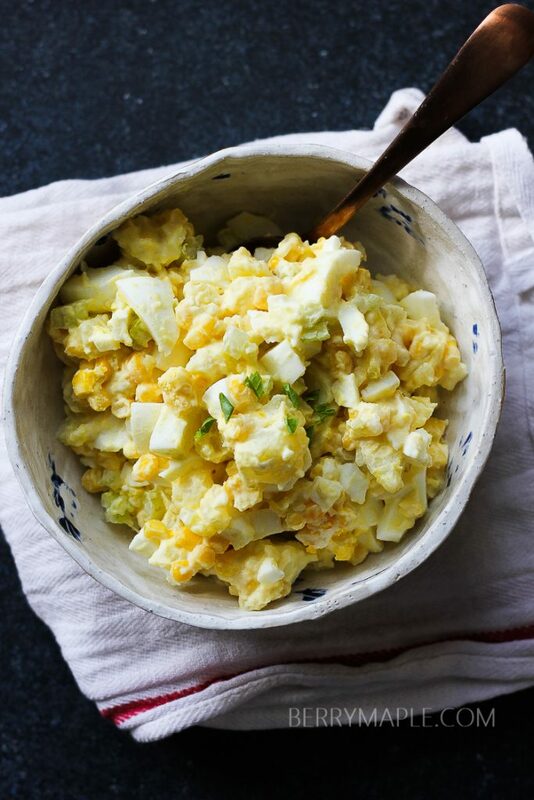 A little twist on a classic potato egg salad- an added corn gives it some freshness and a sweet bite! You also can completely substitute mayo for sour cream to make it low calorie. You may also like this recipes: Roasted eggplant and tomato salad, Rotisserie chicken strawberry salad with miso dressing or Avocado potato salad. Take medium bowl. 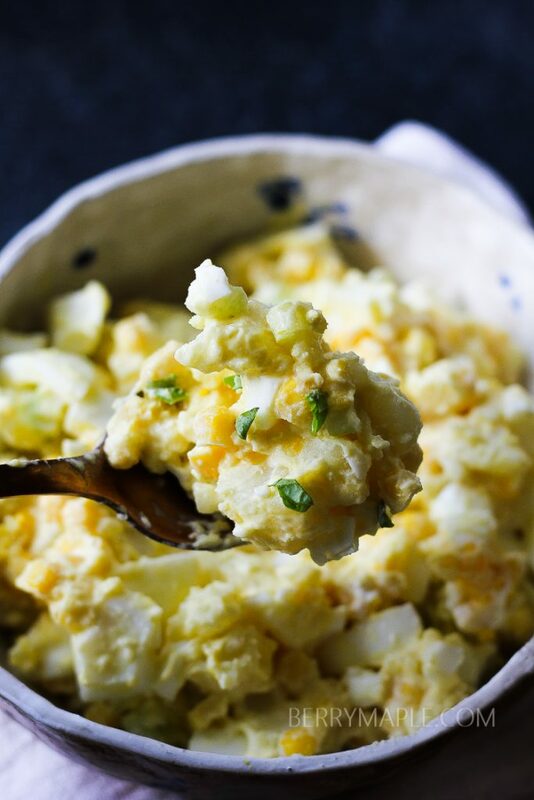 Chop celery, potatoes and eggs in a 1/2 inch sizes. Add to the bowl. Add corn.